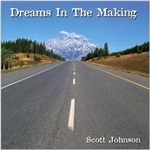 “Dreams In The Making” is an upbeat, inspiring collection of songs, ranging from powerful adult pop/rock to sensitive ballads, centered around the theme of creating a life of one's own design. Part conversation with an angel, part authentic conversation with the author's heart, this is a book about miracles & happiness & opening to the treasures we each hold inside. In clear, simple terms you are shown how to reclaim your energy and effectively maximize the abundant possibility within your life. Remodel Your Reality will turn your dreams into a reality! Improve your health & performance in minutes a day! With over 80 different ways to relax & refresh, The Mini-Retreat Solution ebook will show you how to weave moments of deep relaxation into your day - no matter how busy you are. A great source for exercises, thought-provoking ideas and encouragement to help you discover your perfect career path. Carry it with you so you can be ready when inspiration strikes! This CD has two powerful visualizations that guide you to meet your Future Self and the Magical Child. 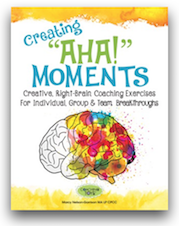 Awesome allies to help you unleash your creativity and full potential. Describes the learning cycle model built around five questions designed to apply experiential learning to real life. The 5 Question Model easily applies to groups of varying ages and skill levels and can be used to encourage leadership and mentoring roles among peers.